Having healthy teeth should always be the top priority, but do those teeth look just as good as they feel? Far too often, patients struggle with frustrating flaws that sneak into smiles over time, from noticeable gaps and misalignments to stubbornly dark stains. Thankfully, cosmetic dentistry can help you reclaim the beautiful image you want and deserve. Contact Dental Dynamics today to schedule a consultation here in Skokie with our dedicated team, or if you have any questions. Why Choose Dental Dynamics for Cosmetics Dentistry? If you’re feeling overwhelmed by several different cosmetic flaws at once, porcelain veneers are an excellent way to essentially give your smile a “do-over” in as little as two appointments. These beautiful, painstakingly customized dental restorations are designed as ultra-thin shells, allowing them to fit comfortably over the visible surfaces of requested teeth. All at once, years of cracks, chips, stains, gaps, and much more are safely hidden from view behind a brand-new appearance that will feel and look seamlessly natural. Lumineers are an alternative type of porcelain veneer. While the traditional version will require tooth enamel to be adjusted for their placement (which makes the procedure permanent in nature), Lumineers are even thinner and can usually be worn with only very minor alterations – this means that patients have the option of returning to their natural smile in the future if they choose to do so. However, some people feel that Lumineers do not look as lifelike as traditional veneers. 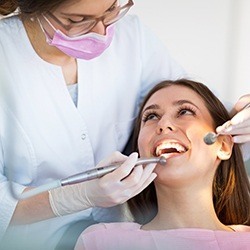 Our dentists will be happy to review both cosmetic services in much greater detail with you during an initial consultation and help you determine the path that meshes best with your personal goals and preferences. In today’s world, we’re proud to let patients know that dark-colored metals, silvers, and golds are no longer the only material options for rebuilding damaged and lost teeth. Our dentists primarily recommend top-tier dental ceramics that contain NO metals, especially when revitalizing teeth that show visibly in a person’s smile. This style of restoration is so beautifully lifelike that it even has the same translucent qualities as original tooth enamel. Its biocompatible nature is also very comfortable and won’t react strongly to hot and cold foods over time. Do you have a small chip in your tooth enamel? Is there a thin gap between two teeth that catches your attention every time you look in the mirror? Even these relatively tiny imperfections can weigh on a person’s mind over time. Thankfully, there’s a quick and easy way to correct them with direct bonding. One of our dentists will apply tooth-colored composite resin to the area in question and sculpt it into place with an artistic flair, aiming to create a very subtle and attractive addition. In most cases, this procedure will only require one appointment of your time, which is ideal for busy patients. Even the healthiest teeth can become dull and discolored over the years. 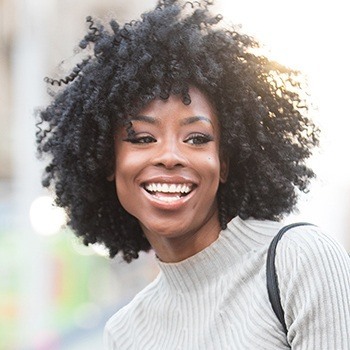 If you’re struggling with a smile that doesn’t have the confident, bright quality you want, it may be time to explore in-practice teeth whitening here at Dental Dynamics. We use Zoom!®, which is a proven, professional-strength brand that can lighten enamel by up to 10 shades in just one hour-long session. The improvements definitely have to be seen to be believed! If you’d prefer to whiten your smile on a more flexible timeline or in the comfort of your own home, our practice can also provide take-home Zoom! kits. These products are much, much stronger than anything you’d find on a pharmacy shelf, and patients can often whiten while they sleep or during their downtime throughout the day – whatever’s most convenient. 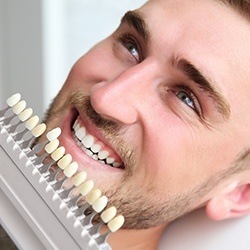 Our team will help you determine the ideal game plan for using your kit and how long it should take to achieve the brighter, more confident teeth you want. Would you describe your smile as short, uneven, or overly “gummy?” Let our dentists take a closer look during a cosmetic consultation. 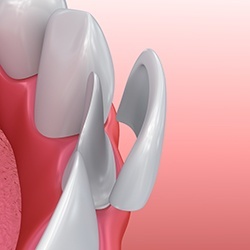 There may be an excessive amount of soft tissue, which can be safely removed and reshaped during an aesthetic gum recontouring procedure in order to create a more pleasing appearance. If the teeth are unnecessarily hidden, crown lengthening can also reveal much more of their beautiful structure to the world at last! Many older patients desperately wish they could straighten their smile, only to feel like they’ve already missed the boat on braces – but this isn’t true at all! Metal brackets and wires are no longer the only way to correct crooked teeth and gaps. Our dental office offers Invisalign Clear Braces, which uses clear aligners that each represent a different stage of important tooth movement. 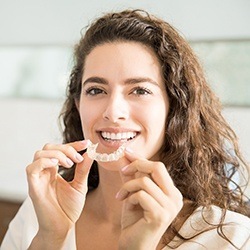 When worn, these aligners are barely noticeable and easily removable at a moment’s notice, which allows them to blend into a person’s daily routine with hardly any disruption at all. If you feel overwhelmed by the number of cosmetic dental problems you’d like to correct, why not work with our dentists to create the ideal smile makeover plan? This custom treatment model will feature all of the services needed to develop your ideal appearance, arranged in a way that best fits the patient’s budgetary and scheduling needs. Smile makeovers may feature aesthetic gum recontouring, porcelain veneers, direct bonding, professional teeth whitening, or even all of the above. Our Skokie team is capable of tackling even the most extensive changes in order to help our patients show off their teeth with plenty of confidence.